The Charlottesville Orchid Society has been active since 1975 in this area. It is affiliated with the American Orchid Society. 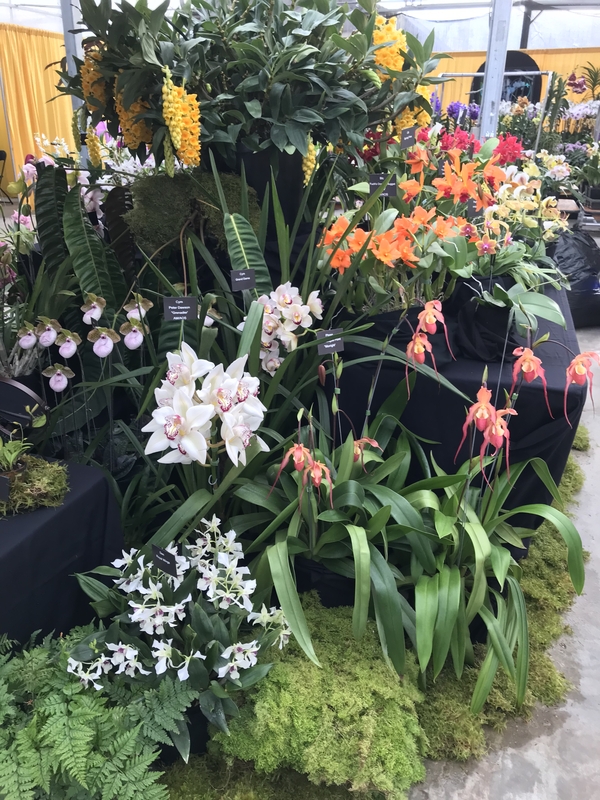 The objectives of the Society are to provide for the exchange of cultural information on orchids and to expand knowledge and appreciation of orchids in our community. The Society draws its members from all walks of life---people as varied as the plants they grow and the methods used to grow them. There are currently over 30,000 known species of orchids and a myriad of hybrids. Contrary to popular belief, orchids are quite hardy and can be grown on a sunny windowsill or under lights. The public is welcome to come to one of our meetings as a guest to learn more about the wonderful world of orchids growing in the home. You will be surprised at the quality and quantity of orchids grown by some of our more experienced growers. Not to worry if you are new to the hobby, we happily welcome novice growers too so do plan to come and join us.